Currently, one in six Coloradans are 60 and older, by 2035 that proportion will have expanded to one in four. To prepare for this growth in population, an Age Matters initiative was created in 2007, beginning with Mayor John Hickenlooper’s Summit on Aging. During that time, the Denver Office on Aging and the Denver Commission on Aging mobilized a task force of individuals from various agencies within the city, aimed to link the information gathered from the summit. This taskforce published the first Age Matters Report in 2010, complete with recommendations for the city to bring a “senior lens” to policy, internal decisions, and discussions. Fast-forward to 2014, the Age Matters Report is found to be an important tool in the city’s planning for older adults, and the process of updating the report begins. 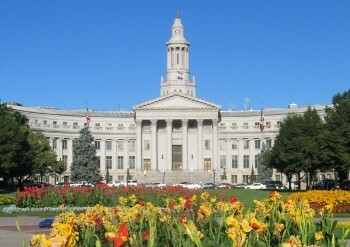 The development commenced with Community Conversations held throughout May to October 2014, focused on creating a vision for Denver to become the model city for older adults. Over 200 individuals were engaged in CommUNITY Conversations by the Denver Office on Aging and the Denver Commission on Aging. The visioning process utilized in these CommUNITY Conversations helped participants focus on new opportunities and allowed contributors to arrive at innovative action steps that are attainable and measurable moving forward. The action steps and strategies formed from these conversations were compiled into the 2015 Age Matters Report Update, focusing specifically on areas of social health, transportation, housing, coordinated services, and employment/entrepreneurial opportunities. The next steps in meeting the city’s vision involve creating workgroups, aimed to implement the strategies and actions steps established within the five focus areas of the Age Matters Report. These groups will engage both older adults within the City and County of Denver, as well as services providers throughout Denver.